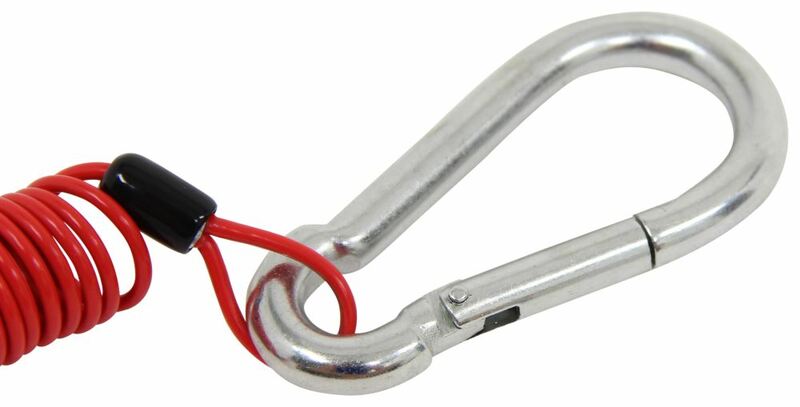 Replace the cable on your trailer breakaway device with this durable, coiled cord. No more dragging or fraying. No need to wrap cable around your trailer frame. Includes plunger pin. Fits most pin-style systems. 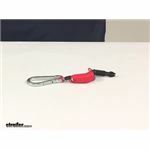 Call 800-298-8924 to order Fastway accessories and parts part number FA80-01-2204 or order online at etrailer.com. Free expert support on all Fastway products. Guaranteed Lowest Price and Fastest Shipping for Fastway Zip Coiled Trailer Breakaway Cable w/ Plunger Pin - 4' Long. Accessories and Parts reviews from real customers. Today we're going to be taking a look at the Fastway Zip Coiled Trailer Break-Away Cable with the Included Plunger Pin. The coil design is going to keep the break-away cable from dragging on the ground, so no more frayed ends and there's no need to loop the cable around the trailer tongue to keep it away from the ground. This is a nearly universal fit. It's going to work as a replacement cable for Fastway and Bargman as well as most other pin style trailer break-away systems. Again, the plunger pin is included. It's already on there. It's also going to include a carabiner clip here on the other end. 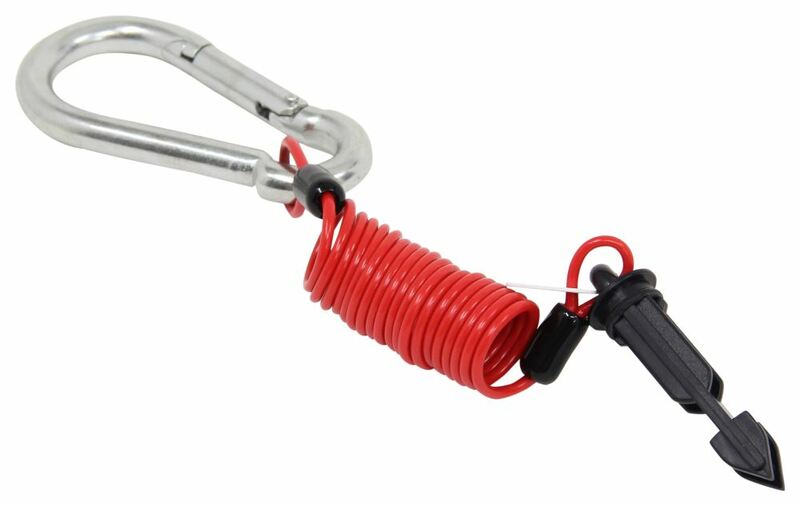 It makes it very easy to clip a cable to your tow vehicle. The cable is a high strength cable that's made of woven steel. Then, it has a UV protective coating that's going to boost durability and it's scratch resistant so it's not going to scratch anything that it comes into contact with. When it's stretched out, this cable's going to measure up to 4 feet long. That's going to do it for today's look at the Fastway Zip Coiled Trailer Break-Away Cable with the Included Plunger Pin. Since the Fastway Zip Coiled Trailer Breakaway Cable # FA80-01-2204 is basically a universal fit I don't see any reason why you couldn't use it for a 5th wheel application. 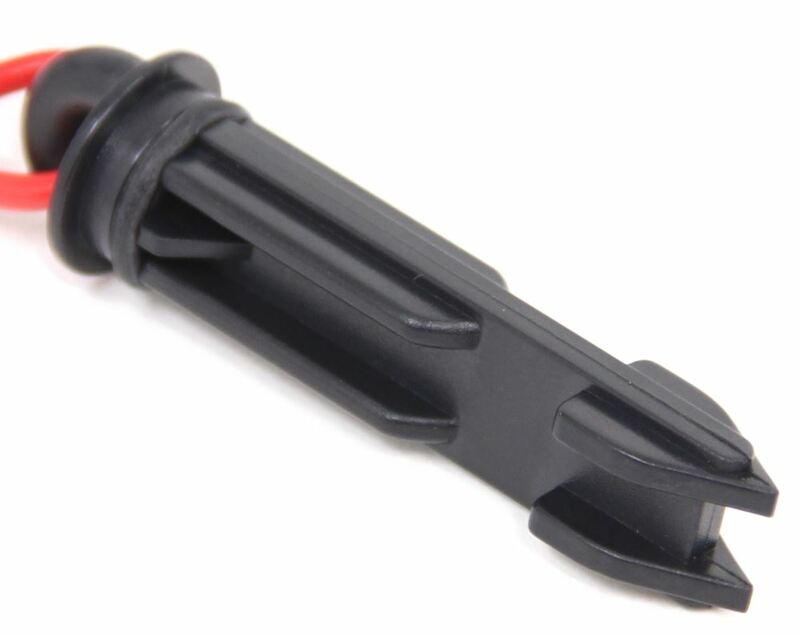 The only replacement pin I can recommend for a Hopkins breakaway kit is the part # HM20012. If you wanted the coiled design of the Fastway kit you'd need to replace the switch too with the part # FA80-00-2040 and you'd be set. While the pins aren't all universal between brands we've found that the switches are.